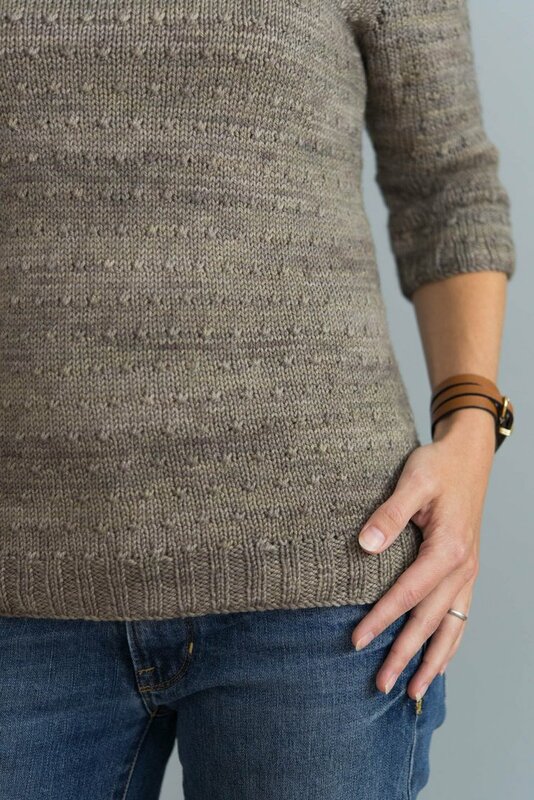 Parker Head is one of the designs from the Fall 2015 make. wear. love. retreat in coastal Maine. 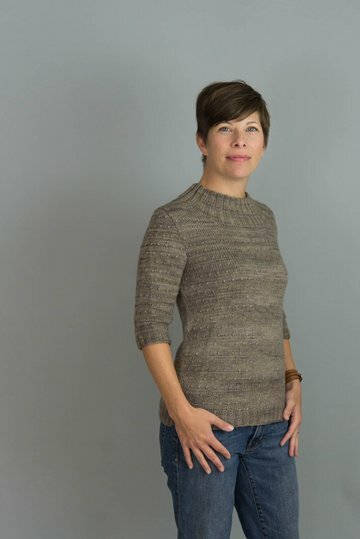 With 3/4 sleeves, a wide mock-turtleneck neckline, waist shaping on the back only, and a versatile mid-hip length, this pullover is comfortable and classic. The front and sleeves of the pullover are worked in Dot Texture, and the back is worked in Stockinette to facilitate waist shaping. Please swatch in Dot Texture for this garment. Jackie is shown wearing Parker Head in an average fit. We used The Woolen Rabbit Emma, in the color "Grey Goose", for this sample. 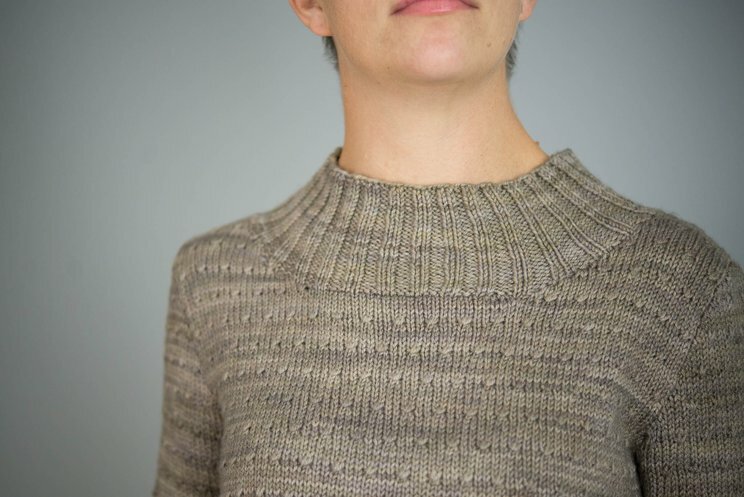 Emma is a luscious, warm, comfortable polwarth-silk blend that comes in a ton of drool-worthy colors, and I can't recommend it highly enough. Amy likes the Emma at a gauge of roughly 5.5 stitches to the inch.